Bottled dressing might seem convenient, but let’s be honest, is it ever really GOOD? More often than not, it’s not good for you either. Many store-bought dressings contain forms of added sugar and preservatives to extend their shelf life. If you’re doing the work to take care of yourself and make a salad, don’t waste it on bottled dressing when it’s ridiculously easy to make your own! 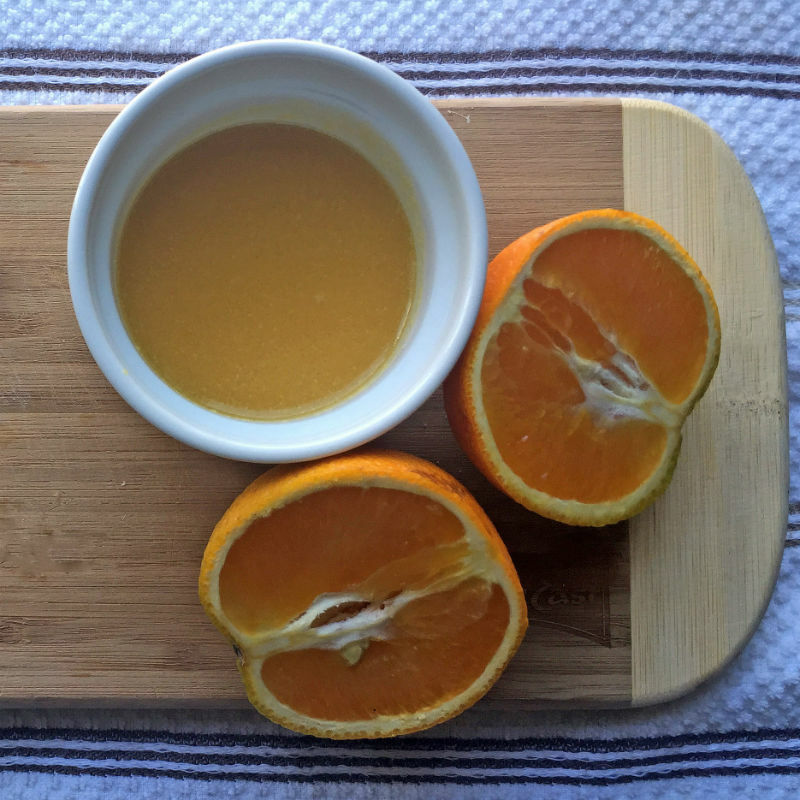 The best dressings have sour, salty and sweet components, and use a combo of vinegar/acid and oil. 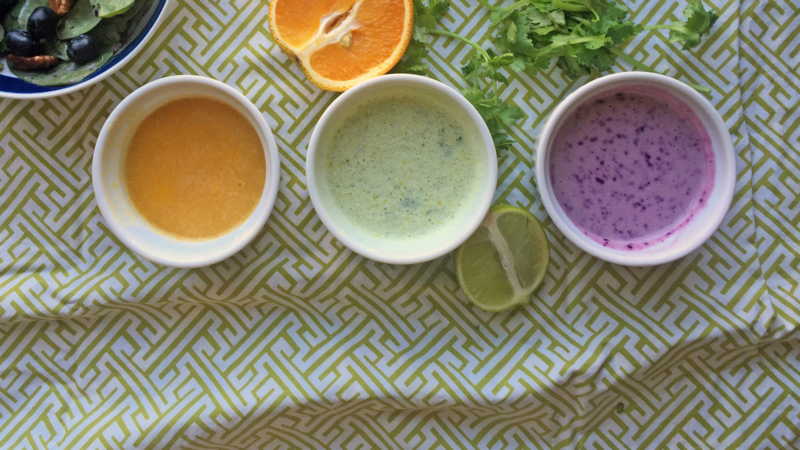 Here are a few of my favorite quick, healthy salad dressing recipes to get you started. With these homemade dressing recipes, you can put those extra tap backs you’re doing toward dessert! This one is super easy to put together. All you need is a whisk and a bowl. It’s got a nice umami flavor thanks to the miso, which is also great for your gut. I like serving this on a salad with melon and basil, but it can work on a variety of salads. Umeboshi, a Japanese pickled plum condiment, is an amazing ingredient I discovered in culinary school. 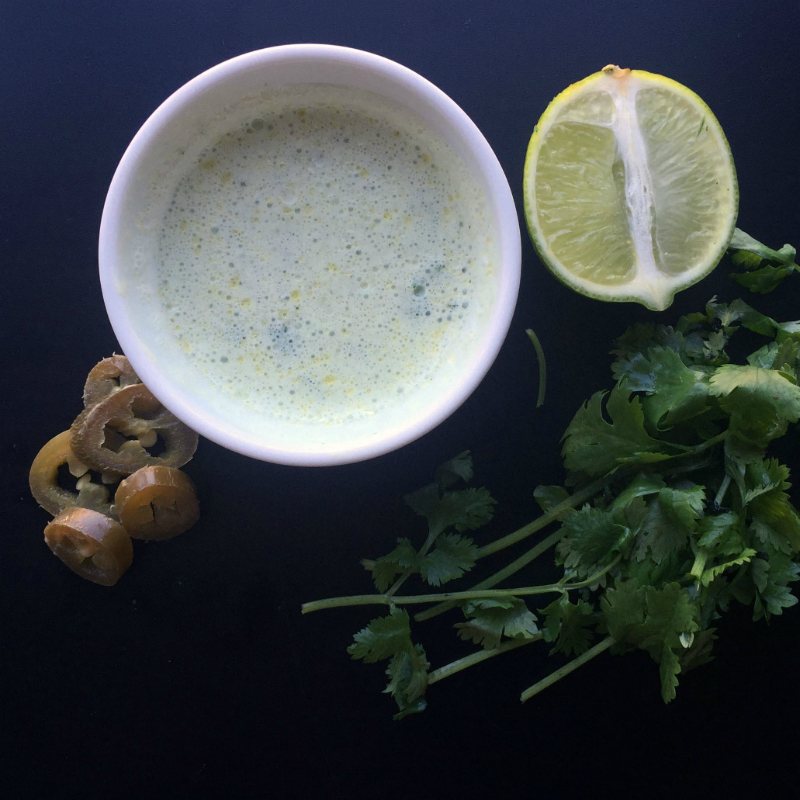 It’s got a tart, salty flavor that gives this dressing a taste similar to buttermilk. You can find it in Asian grocery stores or on Amazon. This dressing is perfect for heavier greens like kale or collards. I like to chiffonade the greens, tossing them with some cooked lentils and this dressing, along with some nuts for crunchy satisfaction. Throw all ingredients into a blender and blend until emulsified. This lavender-hued dressing makes for a perfectly pretty salad. Thanks to the tahini, it’s more savory than sweet and pairs nicely with a greens and berries salad. 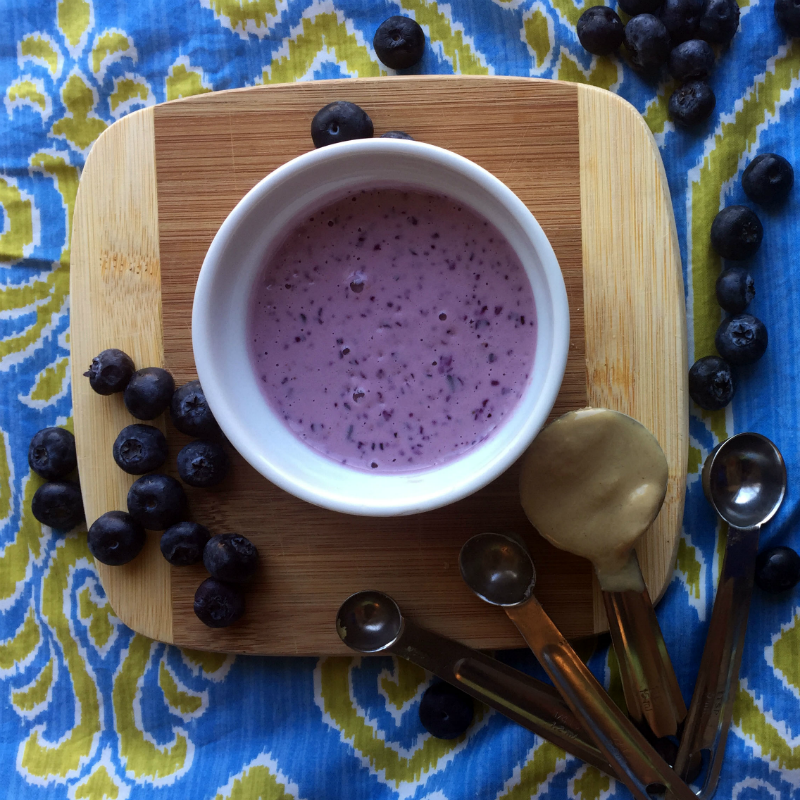 Put all ingredients into a blender and blend until combined and blueberries are thoroughly broken down. Add more water or oil if you want a thinner consistency. Vidya Rao is the Senior Food Editor at TODAY.com. Follow her on Instagram @VidyaRao517.